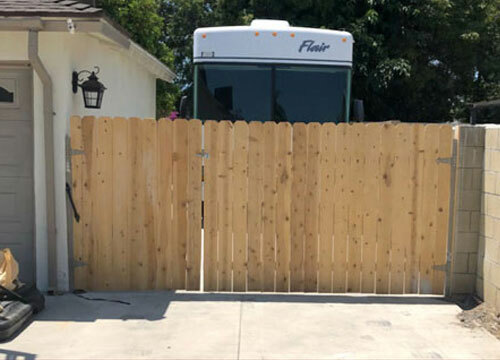 Wood fences are a great choice for Orange County homeowners and businesses that need a cost-effective, versatile fencing option. Because wood fences come in such a wide range of styles, such as picket, post and rail, solid board, and good neighbor, you can have one designed and constructed to meet your specific needs, whether you are looking for a simple perimeter fence to go around your property, a decorative fence for your garden, or a backyard pool fence that provides additional privacy and security. 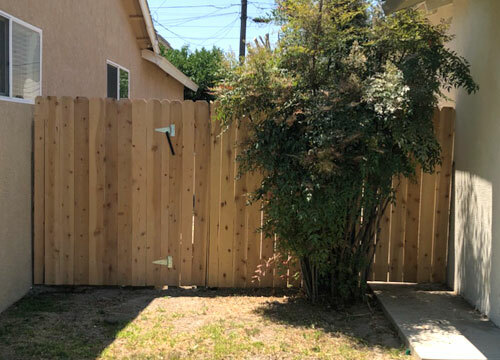 At Orange Coast Fence, we're confident that we can give you a beautiful, durable, and lasting wood fence at an affordable price. Our wood fences are made by highly experienced, skilled installers who know how to deliver quality craftsmanship that exceeds customer expectations. From the initial consultation with our owner, Doug, who has worked in the fence industry for nearly 40 years, to our comprehensive clean up when we are done, you can rest assured that we will provide you with exceptional service. This commitment to excellence has earned us thousands of satisfied clients throughout Orange County over the years and a high percentage of returning clients and referrals. We construct the majority of our wood fences out of 1" x 6" cedar boards, 2" x 4" redwood rails, and 4" x 4" posts. 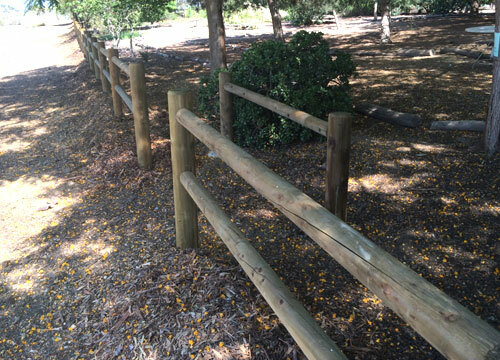 Upon request, we can use stainless steel posts instead of wood in order to avoid rot and extend the life of the fence. Our wood fences can be cut to nearly any height and can fit any size yard. Additionally, the fence could be given dog-eared style tips or a cap and trim top. We can also construct your fence with a matching swing gate or install a standalone gate at a walkway or driveway entrance. If you have an existing fence, we can take it down and haul away the old wood prior to putting up the new fence. While on site, we will be respectful of your property, including all landscaping, and clean up after ourselves once we are done. Call Orange Coast Fence Co. in Santa Ana if you are looking for Orange County's best value in wood fence installation. We offer ballpark estimates over the phone as well as free on-site consultations and quotes for most jobs in and near Santa Ana, Huntington Beach, Costa Mesa, Irvine, Orange, Santa Fe Springs, Westminster, Garden Grove, Lake Forest, and Rancho Santa Margarita. We can finish most of our wood fence and gate installations in one day, and stand behind our workmanship with a one-year warranty.